Do you want to run your own business from home? Many people like the idea of working for themselves, but don’t think they can run their own business. One of the more popular ways to run your own business is through an e-commerce site. 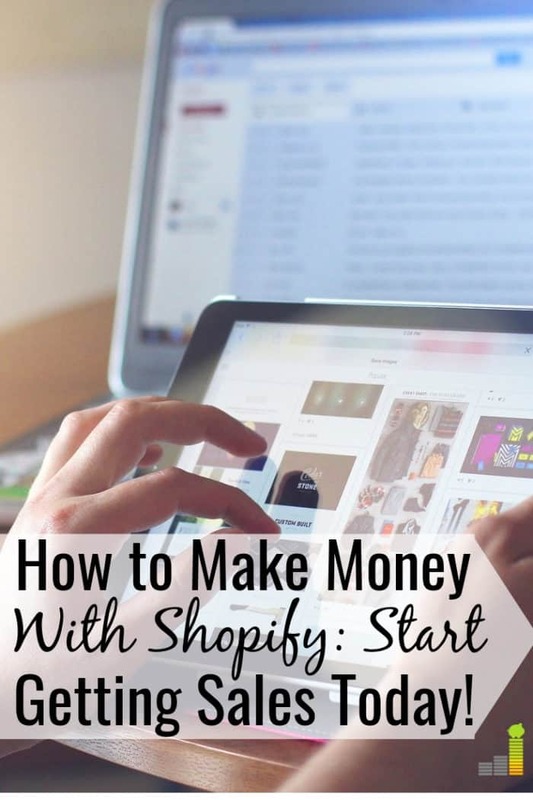 This post will show you how to make money with Shopify, one of the most popular e-commerce platforms. You may wonder if it’s possible to make money with an e-commerce site. It is! In fact, e-commerce sales amounted to over $1.3 trillion in the first quarter of 2018 alone, according to the U.S. Department of Commerce. If you want to give running your own e-commerce site a go, here’s how to make money with Shopify to bring in extra income. Shopify is a platform that helps entrepreneurs establish their own e-commerce site. They are one of the most popular e-commerce platforms, and have been in business since 2004. According to the Shopify website, they power over 500,000 e-commerce sites from all over the world. Shopify provides the tools you need to launch and maintain your online business. Starting and running your own business can require a lot of tools and expenses. They help you, as the business owner, by providing the tools you need to run a business while reducing your overhead expense. Whether you learn best by watching videos, or prefer to read a guide, Shopify provides support to grow your online business. Here are some tips on how to make money on Shopify and use the platform to your advantage. If you want to start selling items online, the first thing you should do is find a relevant niche to sell your products. How popular is the overall niche? It is difficult for me to obtain or purchase? Is anyone else selling it? If so, where? How successful has it been for them? Is this item popular enough to go viral? What you decide to sell is very important. You want to conduct research on the product to determine if and how competitors are getting results. Unique or customized items that consumers can’t usually get at their local Walmart or Target tend to do well. 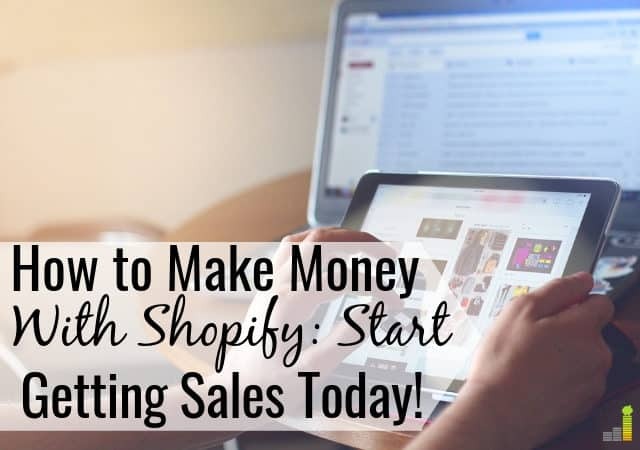 Even if you’re selling custom T-shirts or a kitchen item that is somewhat easily accessible at a local store, it’s likely that you will be able to make money with Shopify. One thing you can do to help narrow down your options is to join e-commerce Facebook groups. See what people are selling, brainstorm with other group members, and learn about some helpful strategies. You can also check out Amazon and eBay to see which products are trending from smaller, private-label sellers. Once you have an idea of what you want to sell, you can choose from one of Shopify’s many ways to sell your product. Shopify helps you sell online with an e-commerce website, at a retail location or pop up, in an online marketplace like eBay or Amazon, through social media, or by adding a custom “buy” button to your website or blog. In order to sell items in your store, you need a supplier to purchase your products from. If you’re selling online and don’t have the product in your home, you may want to consider drop shipping. Drop shipping is a supply chain management method where the retailer doesn’t keep goods in stock but transfers the custom orders and shipment details to the manufacturer or supplier who then ships the goods directly to the customer. This allows you to run your business from home and not have to carry a lot of physical product at your house. Your final profit is the difference between the cost of producing the item and the price you charge your customer. A very popular supplier that Shopify store owners use is Ali Express. Ali Express offers millions of products in over 40 niche categories. One aspect that also sets this site apart is their free sign-up option. Oberlo is another drop shipping supplier that partners with Shopify to provide store owners with a variety of quality products to sell. With Oberlo, you don’t have to manually input products and fulfill orders. 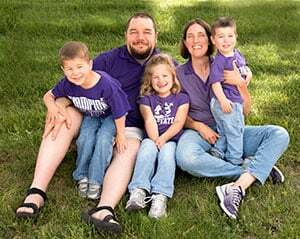 To create your store, click the purple ‘Get Started’ button in the upper right corner on the site. Shopify offers a 14-day free trial. This allows you to try out their service without entering your credit card details. While you can set up your store without initially spending any money, if you wish to continue using Shopify after the trial period, you need to choose from one of their monthly plans. Shopify has one rate for processing all major credit cards and charges 2.9 percent plus $0.30 per transaction on the Basic Shopify plan, 2.5 percent on the Shopify plan, and 2.4 percent on the Advanced Shopify plan. If you do any in-person business, you may run into fees for processing those payments. If you are creating an online store, you want to get a domain name, logo, and shop email address so you can start selling. Shopify allows you to customize your store, manage payments and inventory, fulfill orders easily, track sales and growth trends, and more. Shopify really is an all-in-one e-commerce platform aimed at helping make your life easier as you run your store. Shopify not only helps you host your store and take payments, but it also helps with marketing and shipping. The site has tons of free guides and resources to help you grow your business and make money with Shopify. The Shopify site offers an app called Kit, which is a personal marketing assistant bot that can help you boost sales and increase awareness of your store. If you want to make money on Shopify, you need to get traffic to your store that will convert to sales. While Shopify already gives you plenty of tools and resources to do this, there are a few additional steps you can take. One thing you should try to do is set up a blog or website so you can produce quality content alongside your Shopify store. You can build an audience and an email list to start marketing to. You can also consider using Facebook and Instagram ads to increase conversions. Facebook is one of the best traffic sources for Shopify stores. You can create targeted ads to reach people who may have stopped by your website or blog before and didn’t make a purchase. Or you can combine coupon offers and discounts with your Facebook ad campaign. Of course, it’s all about strategy and testing with Facebook ads, so you want to narrow down an approach first. You can also try to increase your online store’s search engine optimization (SEO) rank by getting product reviews from customers and establishing backlinks from quality sites. You may find the idea of SEO, running ads, or email marketing as overwhelming. 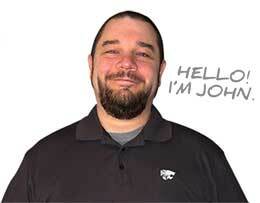 You’re not on your own to do that with Shopify. They provide plenty of tutorials and tools to help simplify a lot of that work. They also offer discounts and promotions on any tools you may need to reduce any out-of-pocket cost you may incur. If you really want to make money with Shopify, they offer many resources to make that possible. Can You Really Make Money with Shopify? You may be wondering if it’s really possible to make money with Shopify. As with any business, you get out of it what you put into it. Running your own business is not easy, but with time and effort you can make decent money. Selling products with Shopify can be a great way to make money because using an online platform can significantly cut your start-up and ongoing operation costs. In fact, one of the best passive income ideas comes from utilizing drop shipping as a way to make money selling products online. Again, this does take time and effort but is certainly possible. Whether you’re looking to sell items online or at a retail store, starting a Shopify store can be very rewarding if you’re willing to put in the work. Shopify offers all the tools and resources you need to build a business and be successful. Whether you’re looking to make a part-time income or start a growing e-commerce business, Shopify has the features, resources, and systems in place to help you succeed. What ways have you seen work in trying to make money with Shopify? What are some other ways you’re trying to establish additional streams of income? Which Shopify feature do you think you’d get the most use out of?